Van’t Hof Door was founded in 1947 by the late Harold Van’t Hof. In 1978 we began installing gate systems. 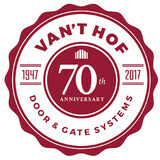 In 1988 the business was formally incorporated to Van’t Hof Door & Gate Systems Inc. Since then, David Van’t Hof along with his knowledgeable staff has been providing quality service in residential garage door/operators and motorized gate systems to satisfied West Michigan customers. We service and install overhead garage doors, along with commercial fire, high speed, and rolling steel doors. Also providing preventative maintenance care. For over 43 years we have been servicing the West Michigan area and you can count on us to take care of your residential, commercial or industrial door needs. From replacing your springs, electric operator and your overhead garage door, we have you covered. Your greater Grand Rapids garage door and operator company. Discount Door Co services all makes and models of residential, commercial, industrial and agricultural sectional and rolling steel garage doors and operators. 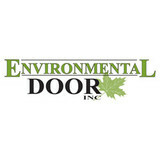 Environmental Door is a successful family-owned and family-operated garage door company that specializes in residential, commercial, agricultural and industrial applications. Since 1970, our growing team of dedicated employees is proud to serve communities near Grand Rapids, Ada, Allendale, Byron Center, Caledonia, Comstock Park, Coopersville, Cutlerville, Grandville, Grand Haven, Holland, Hudsonville, Kentwood, Muskegon, Ottawa County, Rockford, Sparta, Walker, West Michigan and Zeeland. Our installers and technicians are committed to providing you with the best possible experience, giving you personalized advice in purchasing your new garage door. Our many positive reviews take notice of our close attention paid to our customers’ needs and our excellent end-to-end customer service. Our full range of products and services include well-known garage door opener brand LiftMaster, as well as many useful accessories to go along your door. When you start thinking of buying, installing or repairing any type of garage door, consider us as your go-to team. We welcome you to visit our showroom to see our many available products. We are located at 11501 3rd Ave NW, Grand Rapids. We are open Monday through Friday from 8 AM to 5 PM, evenings, and Saturday by appointment. Ready to put your garage dreams to action? We’re waiting for your call! Bouma Bros. 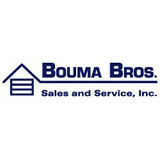 Sales and Service Inc.
Bouma Bros. Sales and Service Inc. is a garage door specialist for residential, commercial, agricultural and industrial applications, proudly serving the Wyoming area. We would love for you to visit our showroom at 1529 Burlingame Ave. SW, Wyoming. There, our team can give you personalized advice in purchasing a garage door, an installation that meets the highest industry standards, and unequalled after-sales service thanks to our maintenance and repair program. Our full range of products also includes electric garage door openers as well as many other accessories to go with your garage door. Think of us when it comes to buying, installing or repairing any type of garage door. Our showroom is located at 1529 Burlingame Ave. SW, Wyoming and is open Monday to Thursday from 7 AM to 5 PM and Friday from 7 AM to 4 PM. I invite you to come and visit us, and on behalf of our entire team, I thank you for considering our company. Greg & Dan Bouma Bouma Bros. Sales and Service Inc.
Guse-Hahn Garage Doors is a garage door specialist for residential, commercial, agricultural and industrial applications, proudly serving St. Joseph, Benton Harbor, Watervliet, Coloma, Dowagiac, Cassopolis, New Buffalo, Niles, Buchanan and South Haven. We would love for you to contact us, our team can give you personalized advice in purchasing a garage door, an installation that meets the highest industry standards, and unequalled after-sales service thanks to our maintenance and repair program. Our full range of products also includes electric garage door openers as well as many other accessories to go with your garage door. Think of us when it comes to buying, installing or repairing any type of residential garage door. I invite you to contact us today, and on behalf of our entire team, I thank you for considering our company. Quality Door, Inc. is a locally-owned, proven leader in garage doors, operators, repairs and related services in West Michigan. Our business specializes in both commercial and residential garage door and operator sales, installation and repair. We are dedicated to offering the highest quality products and service at affordable prices. Quality Door is a Clopay Master Authorized Dealer, recognized as a market leader both locally and throughout Clopay’s dealer network. In addition to all models of high-quality Clopay® Doors, we also carry Liftmaster® electric operators and Cornell rolling steel doors. Whether it is a large commercial installation or a garage door for your home, our service is second to none. Slide-Lok Garage Cabinets and Garage Floor Coatings are, quite simply, the best in the industry. Our plywood garage cabinets are considered the best garage cabinets on the market. Our garage designers will meet with you to determine the best combination of Slide-Lok garage storage cabinets, polyaspartic garage floor coatings, & accessories to meet your garage storage needs. And, our expert installers will provide you with a new garage interior in as little as one day! Don’t let a busted door stand in your way. Rely on our experts and get the courteous, dedicated door service, installation, and repair you need at competitive prices you can easily afford. There’s no scope of work we can’t handle From overhead door installation to the door on your storage unit, you’re completely covered. Rest easy knowing you’re getting top-tier workmanship on every job. You get a 30-day guarantee on service and a 1-year warranty on parts. Commercial and residential door service Whether it’s for your business or your garage at home, our professionals provide you with a complete solution. Reliable, licensed experts are fully insured for your protection. Dedicated to your satisfaction, we’re accredited by the BBB. Welcome to Bouma Bros. Sales and Service Inc. We specialize in residential garage doors, including new construction. We have been family owned and operated for over 50 years. We are now the third generation of garage door experts proudly serving our customer in Grand Rapids, Michigan. You can count on us to continue our tradition of excellent service. At Bouma Bros. Sales and Service Inc., we recommend GARAGA garage doors. Their quality is unrivalled in the industry. Garaga doors are energy efficient, and offer a high R-value to keep the cold Michigan winters out – a feat no other brand can accomplish. Please visit our image gallery to see our wide range of garage doors. We are happy to serve you in in person, by telephone or online. 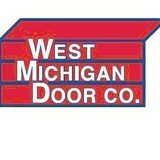 To see our beautiful doors, please visit our showroom, located at 1529 Burlingame Ave. SW, Wyoming, MI, 49509. You can also call us at (616) 452-4704, or get a free online quotation for more information. For your convenience, we offer free in-home consultations. When you want the finest garage doors, contact Wagner Door Company. If you need any garage door services, such as garage door installation, we can help you. Providing 24-hour emergency services 7 days a week is a priority to us. We understand the frustration of encountering a problem with a garage door after business hours, and we're here to help. If you have a problem regarding your garage door after hours, don't worry, we'll send someone out to help you as soon as possible. Read on to find out what we have to offer and how we can help you! Our services are extremely versatile. We're here to meet your needs, and make your life much easier. The services that we have to offer are done by experienced professionals that know how to get the job done in a timely manner. Your garage door projects are in good hands. Guse-Hahn Garage Doors Inc. has been offering the greatest selection of professionally installed residential, commercial, agricultural or industrial garage door systems since 1943. Compare us to competitors and you’ll see we offer the best customer service in the area! Garaga Inc., the largest manufacturer of garage doors in Canada, has certified us as a Garaga Expert. So you know we can help you in identify exactly the right garage door for your needs. You will benefit from our proven track record of expertise in every aspect of your garage door selection, installation, maintenance, service and repair. Here at Kingsmen's Door & Operator LLC.,Our team of dedicated staff members have had a strong force on the community with the west Michigan area. 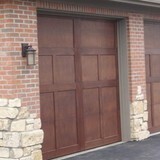 We install and service garage doors throughout the west Michigan area and many more. We specialized in residential and commercial garage door and operator.Here at Kingsmen's Door & Operator LLC., We always make sure our customers are happy and satisfied with the product they purchase. We carry the best brands in the industry, and our installers are the best in the business. They make themselves available to you in the comfort of your own home, introducing themselves to you before starting any job to make sure you know they are on site. Once the installation is done, they make sure to show you the products and its important parts as well as giving you a brief tutorial to show you how your new products works. Grand Rapids, MI Garage Door Installation And Repair Is your garage door stuck? You don’t want to wait for repairs. Call Rapid Garage Door Service to get your garage door fixed fast, 24 hours a day. Any opener, any garage door, we can work on it. With more than 25 years of experience, we have seen just about every problem with just about every type of garage door. If it is able to be fixed, we can fix it. American-made quality. We are proud to support our local economy, and install Mid-American Doors, which are made in the U.S.A.
What kind of services do Holland, MI garage door dealers and installers provide? Garage door professionals specialize in the selection and installation of residential garage doors and openers that fit your budget, style and needs. This includes choosing a garage door style — or designing a custom garage door — that blends in with your home’s exterior, selecting materials, determining a technological system that supports your security and access needs, determining proportions and dimensions, finalizing decorative designs and ensuring that everything meets Michigan compliance and building codes. Find garage door sellers and installers in Holland, MI on Houzz. Narrow your search for Holland, MI garage door sellers and installers by selecting the nearest city or zip code. Look at portfolio and product photos, and read reviews to find the best Holland, MI garage door professional for your home.